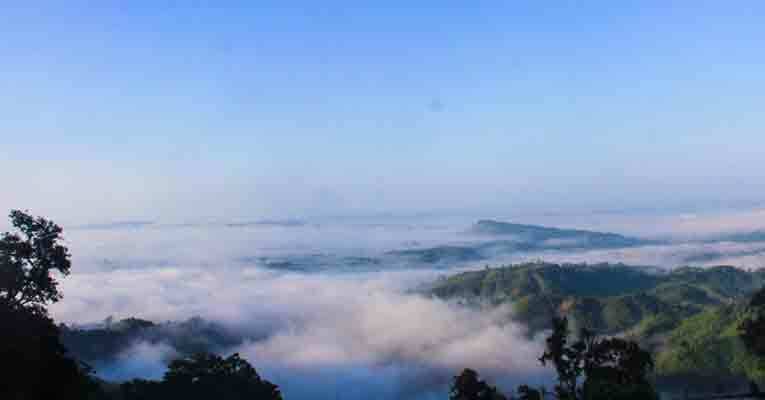 Sajek Valley is situated in Sajek Union of Rangamati District. Sajek Valley is named after the name of Sajek River. 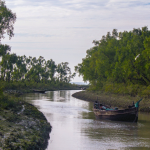 Sajek river differentiates the Bangladesh and India. 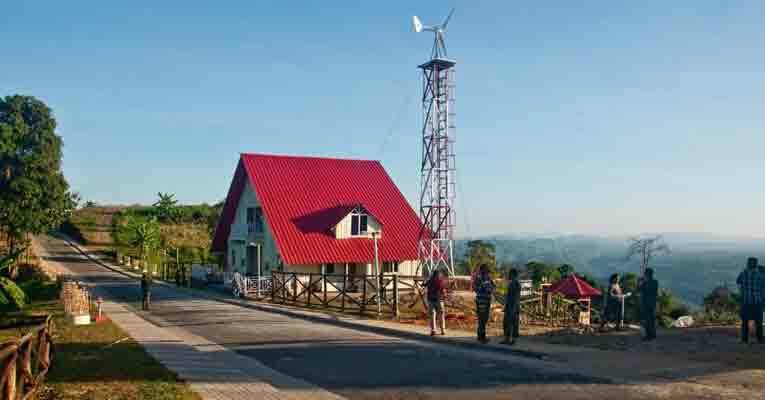 It is almost 2000 feet above the sea level and 80 Km away from the Khagrachari town. There is no word which describes the beauty of Sajek Valley. The Dense forest, mountains, grasslands, hilly areas have created an undefined beauty. 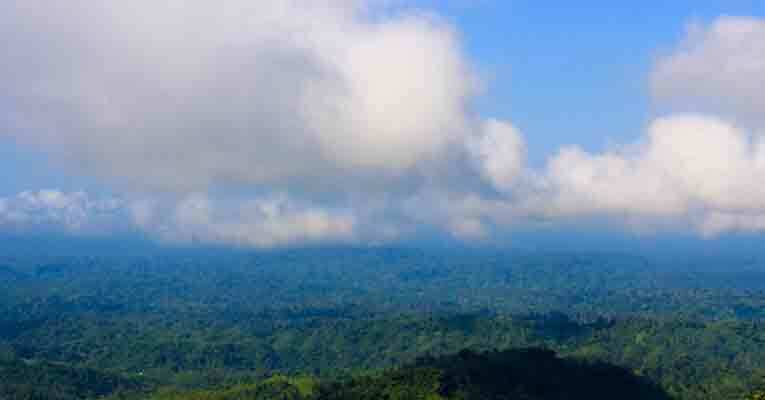 When you are in the top picks Sajek Valley, you will see the clouds are flying near you. You can touch it! This awesome moment will make you feel the view of heaven on the earth. The excitement of this can’t be written. 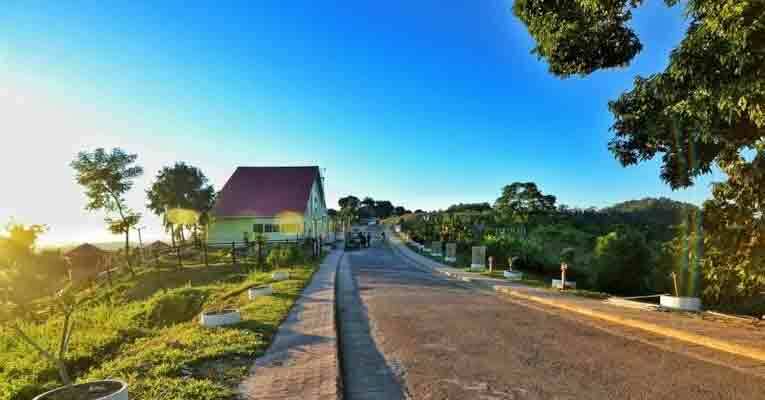 While traveling the Sajek, you will see the thrilling beauty of nature. The roads pass like a snake. There are many small rivers on the way of the journey. The weather of Sajek changed frequently from Sunny moment to dense rain. The people of Sajek are very friendly and welcoming manner.most of the people are Chakma, Marma by religious beliefs. The families are maternal. women are engaged in economic activities. From agriculture to business, households to outside, women rules there. These hilly resident people are not fluent in Bangla language. But Youngs are capable of speaking English fluently. From the starting of the journey, Bangladesh Army provides protection to the tourist. 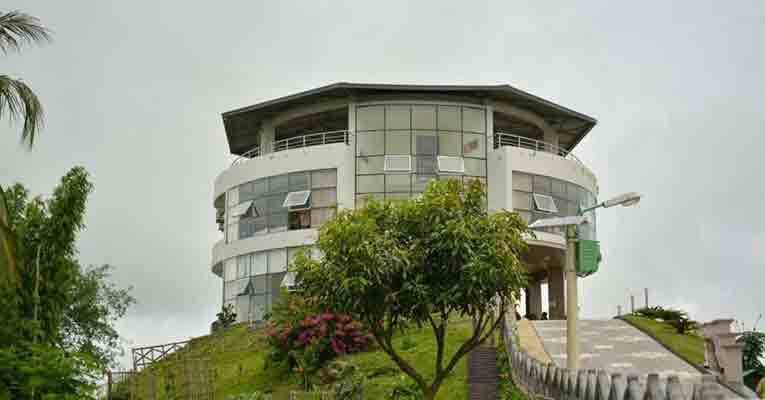 There are two resorts which are maintained by Bangladesh. So, there is absolutely no problem with the security. 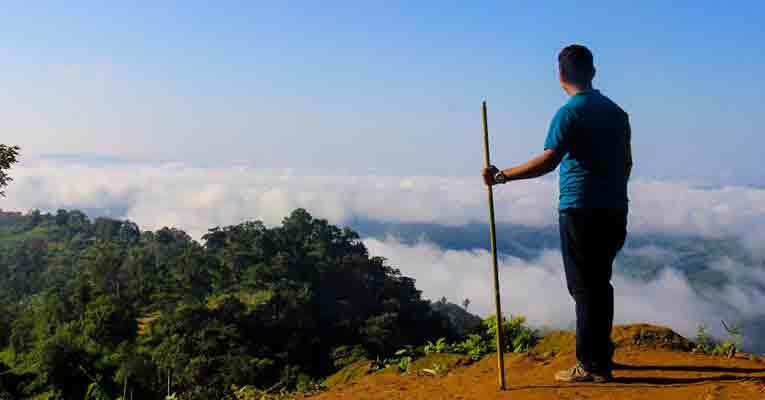 Though Sajek Situate in Rangamati, people love to travel via Khagrachari. Traveling via Khagrachari is the easiest way to visit Sajek.Several Bus Service available from Dhaka to Khagrachori. Bus rent starts from 500 BDT 1200 BDT depending on the service. 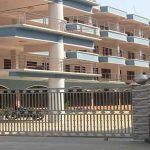 If you want to visit directly through Dighinala then you have to choose Shanti Paribahan. There are many other buses like BRTC bus services, Shanti Paribahan etc which drops you in Dighinala. After reaching the Khagrachari, You have to visit Dighinala through CNG driven Vehicle or Four wheeler. It is wise to reserve the Vehicle because there is a scarcity of Vehicle. To Reach from Dhaka Bus station to Sajek Valley it will cost around 1000-1200 BDT which is minimal. If you travel in a group it will save the cost. The food and accommodation are very cheap there. So, if you want travel Sajek in Relax mood, you should take 3000-4000 BDT for one-day tour plan . Food Cost and accommodation cost will be added if you stay more than one day. There are several resorts available in Sajek Valley. 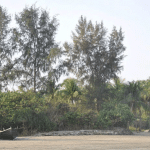 These resorts are governed by Bangladesh Army and Bangladesh Border Guard. The minimal cost of Sajek Valley is about 700-1300 BDT per night. if you want luxurious facilities it will cost 10000 BDT to 15000 BDT double with all modern amenities. You can convince the villagers they will arrange you the accommodation with a small amount of money. To take food you have to order before one or two hours before the .meal. All types of Bengali Cuisine are available there. It will cost around 120 BDT to 600 BDT according to the menu you have chosen. 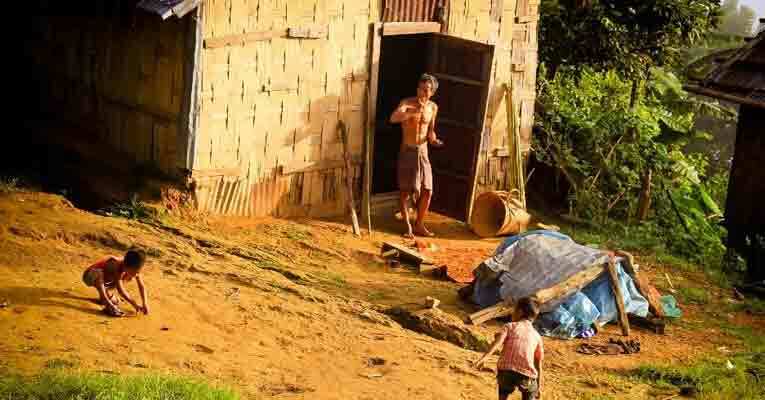 Some of the tourists suggest about the malaria prevention system while visiting Sajek. At night, the temperature falls down to 20-22 degree Celsius. Sajak is not connected to the national grid system. Generator and Solar Electricity are available there. Bangladesh mobile operator Robi and Teletalk have the network there. So it is wise to take those sims if you want to communicate. Hy whats up brother, you are nice presenter in beautiful Bangladesh. I like your visiting sajek valley tour. Thanks for your nice treble instruction. hopeful to easy treble for tourist.